Sorry I didn’t update you last week but we took the opportunity get away camping on Bribie before the Easter rush. It’s a hidden gem, I hadn’t been there before but enjoyed it thoroughly and the fact it’s on our doorstep makes it very appealing for future getaways. We only had 2 nights and with the kids fishing opportunities were limited to just 3 occasions but they were very productive! There were heaps of swallow tail dart during the day. Some big whiting to 40cm and bream at dawn and a huge 63cm permit or snub nose dart at dusk which put up a great fight on the light gear. Some good times but now back to business the offshore scene has been going great. 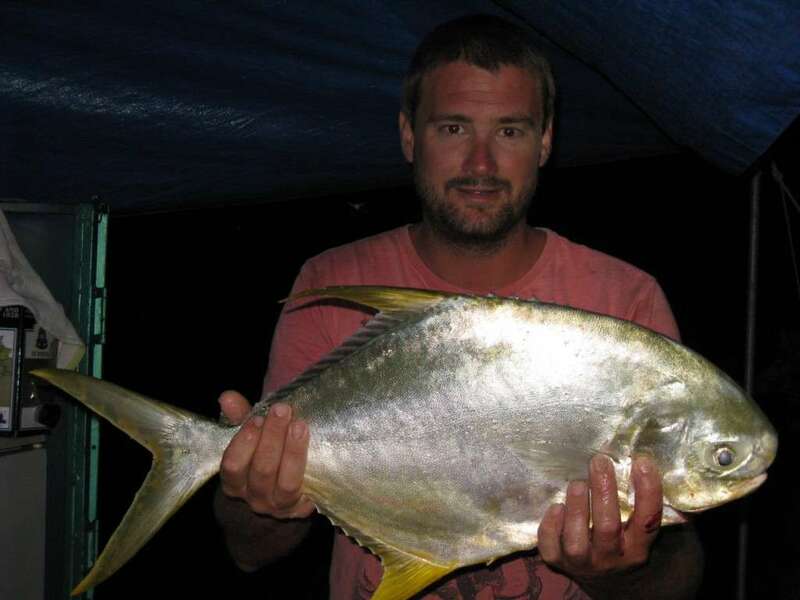 The past fortnight has been some big numbers of fish put into the esky as well as some quality size specimens as well. Murphy’s reef for the half and 3/4 day charters and the deeper sections of the Barwon banks for the full day trips have been the pick of the reefs and are going off! Lots of squire coming through with fish up to 4kg being landed. 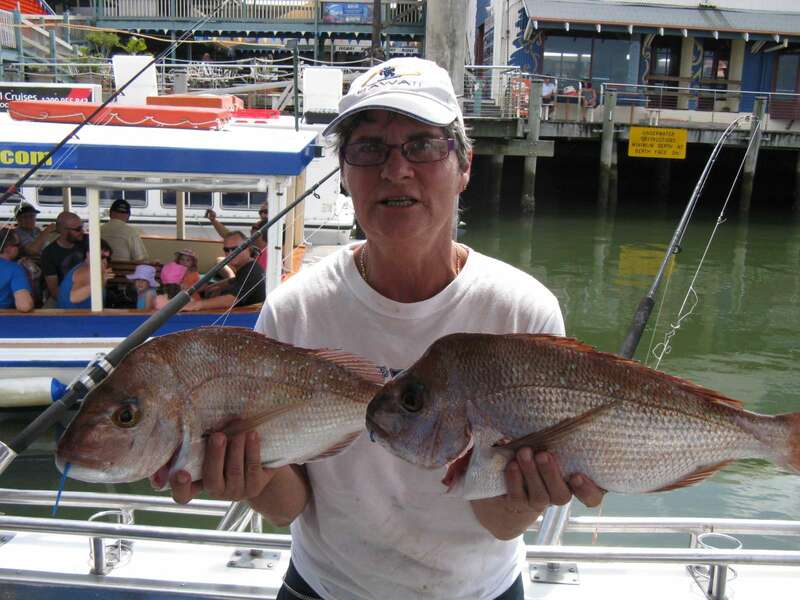 Also plenty of king fish, amberjack, sweetlip, moses perch and trevally. There are still a few Pearlies on the full days and we have got into some schools of trag jew and fusilier as well. 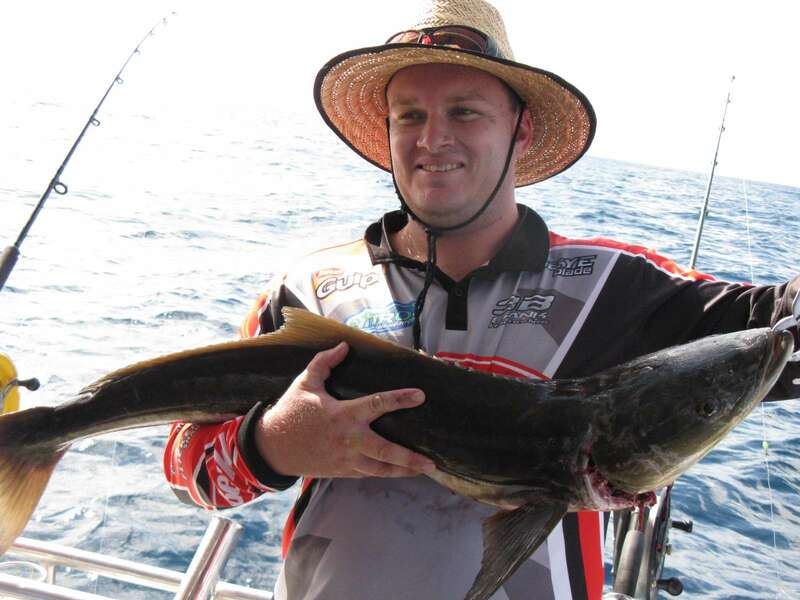 And all that is just to name a few, below shows a decent 10kg cobia caught on the Barwon banks. So lots of action over the past 2 weeks and the fishing is looking good for the upcoming Easter holiday period. We do still have some availability for charters over the next 2 weeks so if you are interested id book in now before things fill up!! To do so head over to our contacts page and flick me an email or call 0429013012.